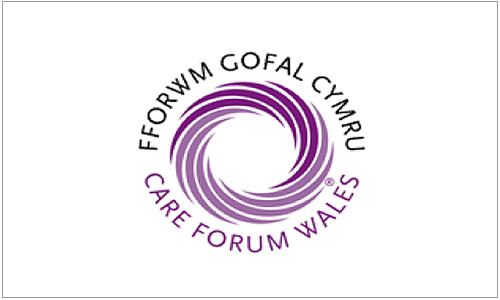 Care Forum Wales is a not-for-profit organisation with more than 450 members across Wales. It was set up in 1993 to give health and social care providers a collective voice in the debate about how to provide the best outcomes for those who need social care. We work closely with the Welsh Government, commissioners and regulators to shape policies that focus on making sure people receive high-quality care. And we work to raise the profile of the social care workforce. Every year we organise the prestigious Wales Care Awards – a celebration of the hard work and dedication of the social care workforce. We also organise training and networking events to promote best practice and share knowledge amoung our members. Care Forum Wales members benefit from professional advice, newsletters, discounted DBS (previously CRB) checks and a free listing on our Care Compare Wales search tool on our website. We have long campaigned for a national framework that will cut through bureaucracy, increase accountability and include local health boards. After 20 years we continue to campaign for improvements to the way social care is organised and delivered in Wales. We’ve come a long way but there are many challenges ahead.